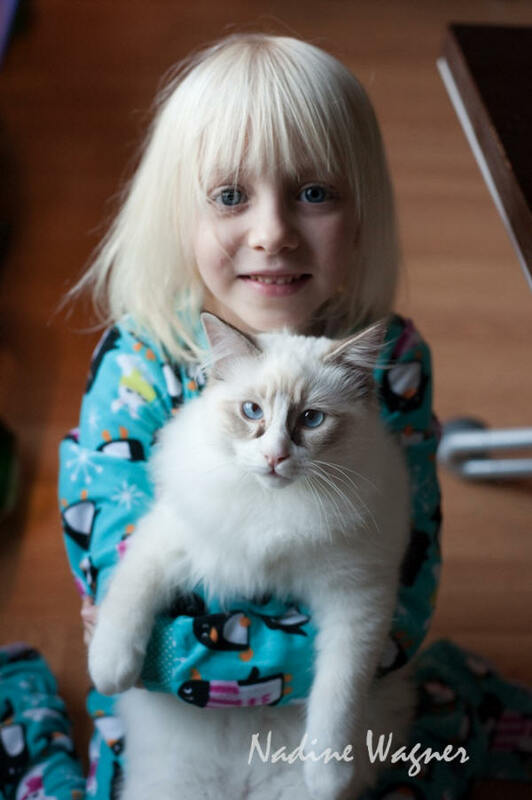 Available and Upcoming Kittens - IzzAdorable Ragdolls, We have Cats and Kittens! This website uses a JAVA menu system. If no menu APPEARS HERE, then click here: Safe Java Plug in for your Browser. After you've held one for just a wee bit, you just have to have one! Keep an open mind, the right kitty will pick you! Check out my Facebook page for the Newest pictures and availability. *** The Facebook page is a public page. You do not have to be a member of Facebook. All Pet Kittens will be spayed or neutered before leaving our cattery. No new kittens available currently, expect kittens for later in the Spring. Those with deposits or on the waiting list do get first choices. Let me know if you are waiting. All kittens will be spayed/neutered unless sold as breeders to registered catteries. Kittens will have microchip, 2 sets of vaccines, Vet health checkup and a 2 year genetic health guarantee. HCM DNA negative by parentage. First pictures go up to the Facebook Page when I get them taken. A few Breeders may be available this year, let me know if you are interested, including Chocolates. Not to Asia and not locally. Must practice early altering. Ragdoll kittens are born all white and their colors start coming in. The darker colors show first, the pale colors can take a long time. People on the waiting list get to choose before pictures are posted to the website. they are examples of previous kittens." #2922 Lilac Lynx Point Mitted boy, super sweet, only 1.5 years old. #2260 and #2913 same girl Seal Point Bicolor female, nearly 3 years old. Playful, still kitten like. Petite gal. #2143 Seal Point Bicolor female, super sweet, quiet girl. Loves to give massages. #2830 Chocolate Point Mitted boy. # 2937 Bicolor Kitten for January. #2310 is a Blue Mitted Bicolor Male kitten ready for November. "I am ready for a new home." #2315 is a Seal Point Mitted Female ready just in time for Christmas. One male also. Watching colors develop on the newborn litter, let me know if you are waiting for some particular color or pattern. #1380 is a seal tortie female, sale fell thru so is DISCOUNTED as she is older now. # 1587 is a Lilac Bicolor female, family allergy problem so she is available. Discounted as she is older now. And yes, he did pick her. Yes, ragdoll kittens are kid friendly. Very protective of one another! If you are interested, send us an E-Mail RIGHT AWAY. We'll put you on the list and we will let you know first, when kittens are ready to be chosen. 95% of all kittens are sold as pets, not as breeders. They may be show quality and still go as pets, please do let me know if you are interested in a kitten marked show/breeder as they may be available. How soon can kittens be adopted? Kittens must be at LEAST 12 weeks old before they leave the litter. Their development, health, demeanour, and personality depend on it. TICA strongly recommends it! Ragdoll kittens are born all white. Their colors slowly darken until around 3 years old. In terms of social development, this 12 weeks wait, while an excruciatingly long wait, produces significantly more confident kittens. It really makes all the difference! The kitten is ready and capable at the 12 week point, to make new friends. Suddenly they go to a new home (no other kittens), they move right in need and make friends! People write back to us with heart warming stories. >> It's worth the wait. 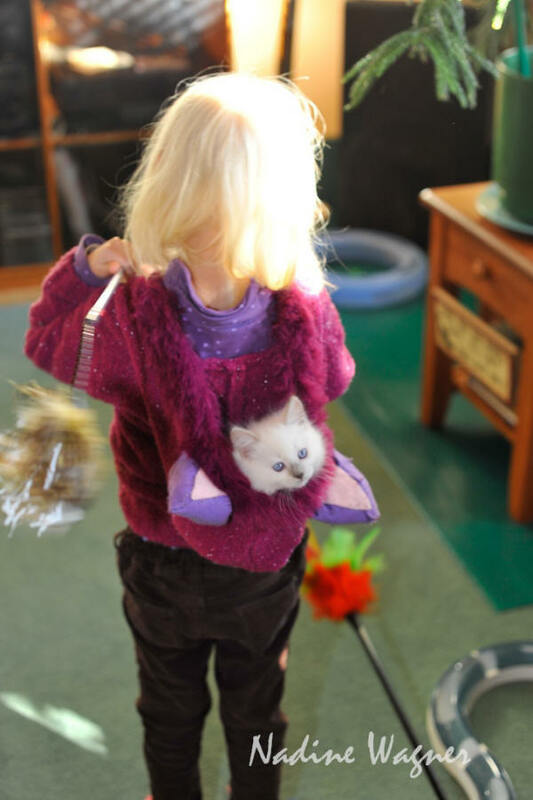 We HEAVILY handle the kittens and that specifically directs their demeanor! It is a difference that you can tell, once you hold one of OUR kittens. Truly, one of the joys in life.. Prepare to be amazed. Kittens from IzzAdorable Ragdolls are just better! Consider adding your name to our waiting list. Click here to e-mail us about Kittens! Sometimes, our associates may have kittens available, drop us a note.